Back from a lovely holiday in Devon. 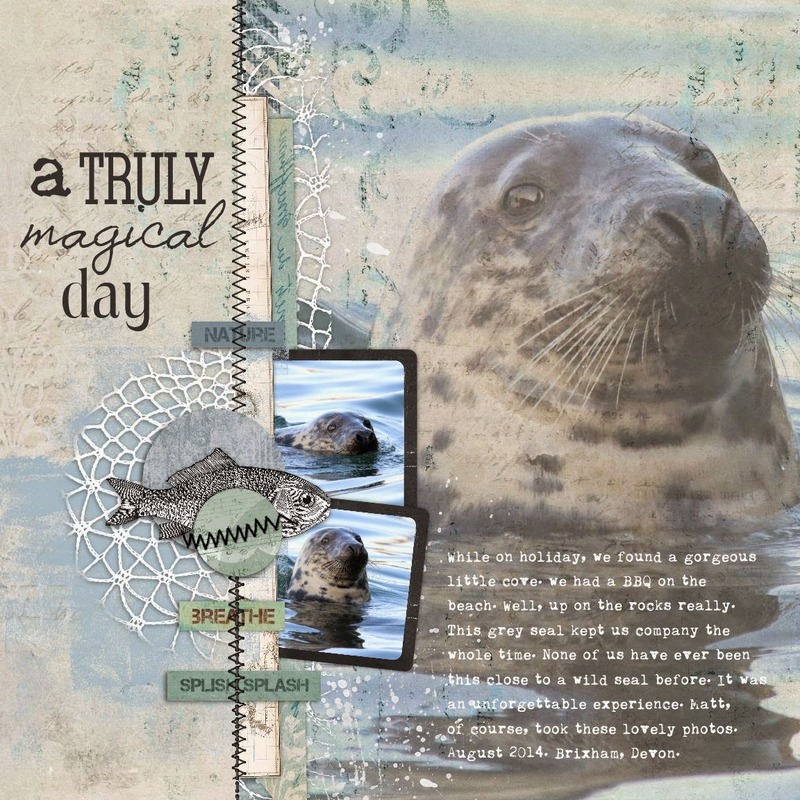 A very active week which I am enjoying scrapping. The weather was cool, but dry. Our cottage was tiny, but clean and the food was expensive, but delicious! This is Poppy dog looking a bit unsure. We are having a BBQ on the beach and managed to get a real fire going (thanks to our bushcraft lessons the day before lol). But Poppy was a little wary of the fire and couldn't seem to understand why we were all having dinner outside, on a rock next to the sea. This is the same day that we watched the seal. So she stuck close to Hollie and was fussed over all night. Her spirits did rise, however, once she had a bite of barbecued sausage! 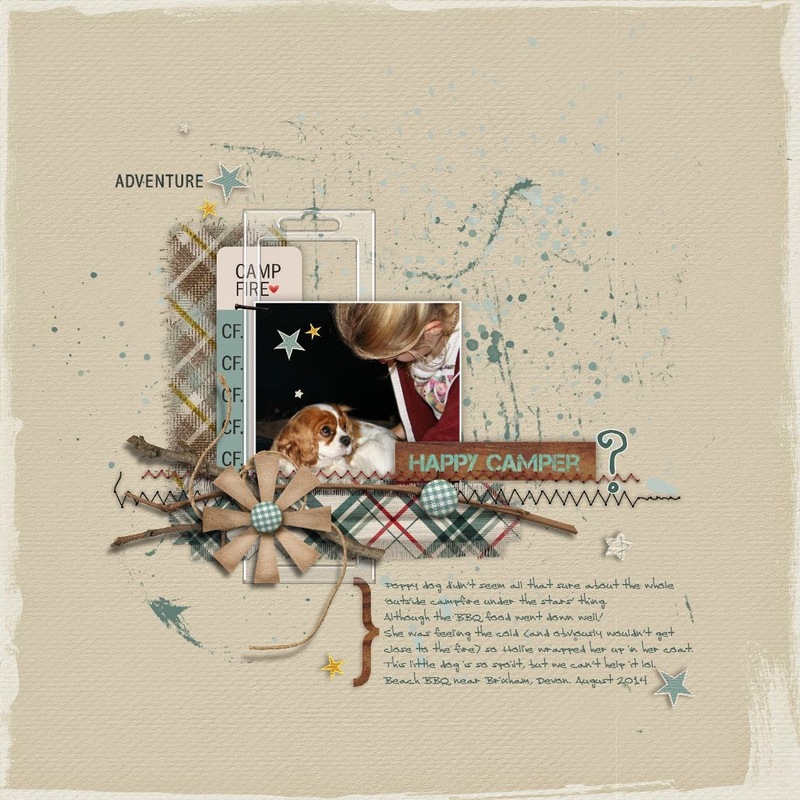 Kit is Adventure by Lynne-Marie and Happy Camper by Laurie-Ann. This was the most amazing day. We all love wildlife so this was a wonderful experience. This seal stayed in the bay the whole time we were there. It kept it's distance, but was obviously very interested in what we were doing. Matt spent many a happy hour perched on the rocks trying to get the perfect photo. Kit is Bon Appetit, Adventure and Fresh all from LynneMarie.